A brand new album of twelve recently penned songs from Caedmon’s original line up: Angela Webb (Naylor), Jim Bisset, Ken Patterson, Sam Wilson and Simon Jaquet. The much loved fragile female vocals, searing electric guitar licks, ‘cello, mandolin and bass remain from the ’70’s sound; now supplemented with accordion, drum kit, trombone, and whistle. 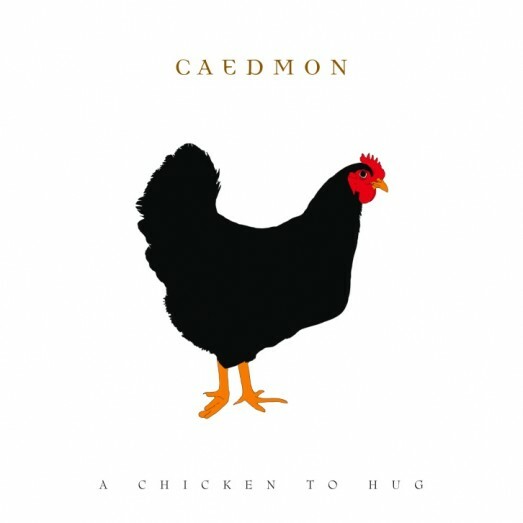 32 years on from their eponymous album ‘Caedmon’ the content of the songs is personal, poignant and sometimes challenging. Acoustic folk, mixed, in well judged doses, with jazz, soul, African and gospel groove. The album is available in a variety of formats: a limited CD digipak special initial release (1000 copies), complete with an eight page booklet from Amazon, or digital download from Amazon or iTunes. Saw the “Jim clutches vinyl” photo on MySpace, with Jim looking deid-pan as he holds what does indeed appear to be a 12″ record [cover anyway] of “A Chicken To Hug” as if to say “I’ve got it on vinyl, you’ve only got it on CD, ner ner ne ner nyah!”). So, is the vinyl going on sale to us fans (I am one of the lucky ones living within an hour’s bus ride of John Knox’s House!) at some point in the near future, or is this a one-off band-only test pressing destined to be even rarer than the 1978 legend? Yes, I bought the CD… and if yous ever announce another reunion gig(s) I’ll be champing at the bit (again)! What can i say; appearances can be deceptive? Greek fan needs desperately a vinyl of it! hi to the five of you! just listened to ‘a chicken to hug’ and loved reconnecting with you all through it! Glad you enjoyed the album. We could have done with your mixing skills. The producer kept saying my guitar sounded thin! I recently stumbled across an original pressing of you amazing debut album. It is complete, with insert, and 7” single. However this copy also had another two items tucked into the sleeve. One was a pressed flower, though I’m not sure if that is of any consequence. The other was what I believe to be a ticket from your farewell concert! I haven’t been able to find any pictures of one anywhere to confirm this though. It’s printed on a pale yellow card, and has been hand numbered on the back. If you would like some pics of it for your sire, I can send them to you. I’ll ask around, but I can’t remember anything about the tickets. If it does ring someone’s bell, I’ll email you directly if that’s all right? I expect release on vinyl.